Determining the effectiveness of a CRM software investment goes far beyond a rudimentary ROI estimate during a business case pitch. Nailing results to a tangible impact is crucial in proving the ultimate value of CRM initiatives. "Disappointments and failures tend to happen because companies do not align tangible CRM business benefits with business operational outcomes, expectations are not properly set from the outset, and much too often the CRM software initiative is scoped as a technology focused, CIO driven project," warns Raul Fabre, CRM Leader and Associate Vice President at Infosys Technologies' Enterprise Solutions Practice. While many a head will nod in recognition of the wisdom in Fabre's statement, few know what to do from here to make Customer Relationship Management solutions truly work. To help you move your CRM initiative forward, here are six top tactics (beyond business alignment) to make your initiative meet or exceed expectations. Reward Adoption. No CRM application will perform unless staff and salespeople actually use the system. Therefore, high adoption rates are essential to success. "Once you have CRM implemented and your sales people trained, start with a simple declaration that they will only be paid commission if their contacts and opportunities are in the CRM system," advises James Wong, CEO of Avidian Technologies. "Be sure that the declaration is simple and clear to understand." You can employ similar tactics with other departments to ensure adoption and compliance across the board. Revamp and Refocus the Metrics. Shift from efficiency-focused metrics to effectiveness metrics. "Average handle time and other efficiency metrics cannot capture your organization's ability to differentiate the brand, and in fact, 'success' in such areas can actually be huge detractors in customer satisfaction and thus, brand value," says Taylor Allis executive director, product marketing for TeleTech. "Companies need to map each customer touch point and determine what a successful interaction looks like—from the customer's viewpoint—and then develop the tools and processes to deliver an exceptional experience." Refine your Rationale. 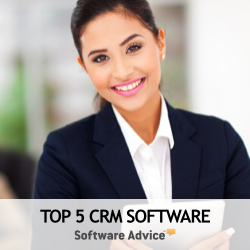 Don't just tweak your CRM software for operational reasons. Look at problems and opportunities from a three-dimensional perspective instead. "A CRM practitioner should look for tool and solution rationalization for the three layers of decision making — Strategic, Tactical and Operational," advises L. N. Balaji, President of US Operations for ITC Infotech. Evaluate each change and execution according to how it impacts each of these three decision-making perspectives. Create Your Own CRM Communities. "As brands begin to positively influence the customer experience through both traditional and emerging channels, customers will be open to company branded forums, or online communities, which can be used as another extension of your overall CRM approach, and done well, another boost for customer satisfaction and brand value," says Allis. Break the Silos. "No longer can a company promote their external brand out of the marketing department while managing their CRM in a separate silo'd 'customer facing' organization," says Allis. "Today, your brand is made or broken across all customer contact channels, and most notably in social interactions, both online and via word-of-mouth." This transition is not new, but many organizations have been slow to adjust their market approach. Mark Mobile as a Top Priority. Mobile CRM is no longer a stand-alone function. Today, mobile is a necessity for employees, vendors, partners, and customers to interact with the company and each other. "A well-defined mobile CRM strategy can significantly improve employee productivity, increase customer satisfaction, enhance collaboration with partners and ultimately reduce the cost of operation and increase business revenues," says Fabre. "For the connected organization, mobile value added services can be a key differentiation factor." In order to improve CRM solution effectiveness, you must stop looking at is as an operational tactic and view it as a means of doing business in a whole new way, from the strategy development forward. For example, "gone are the days of looking at change management and value realization as isolated initiatives," says Fabre. "Otherwise, CRM transformational initiatives today risk repeating the mistakes of the past." Gone are the days of looking at change management and value realization as isolated initiatives. Otherwise, CRM transformational initiatives today risk repeating the mistakes of the past."